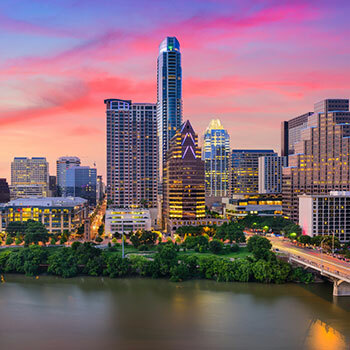 MedAxiom’s annual Fall 2018 CV Transforum Conference will be held in Austin, Texas from October 11-13, 2018. The Live Music Capital of the World will host over 6,800 physicians and more than 400 cardiovascular organizations as they come together to share information and experiences, network with their esteemed peers, and discuss key industry trends. Attendees will be introduced to transformational programs and hear from the nation’s top leaders. This year’s keynote presentation will focus on the state of our industry in a market that is being led and developed to support self-insured employers. Other general session topics include telehealth and virtual medicine, physician alignment organizations and payer platforms, and the latest regulatory and legal developments in Washington. With additional detailed breakout presentations and intimate POD group discussions, attendees will have multiple opportunities to gain in-depth insight and real-world solutions to the challenges we face as an industry. If you want to maximize your trip, head to the pre-conference area where you can tackle a content-rich boot camp for new APP Provider leaders or take a dive deep into exploring quality metrics and compensation formulas. Digirad is proud to be an exhibitor at the 2018 Transforum Conference again this year. We’d love to introduce you to our wide range of solid-state imaging solutions or answer any questions you may have about our products, services, or support. Be sure to stop by the Exhibit Hall and say hello.